We are back again with another comparison! This time we are going to compare smartphones that boast the suffix "Plus" in their names. 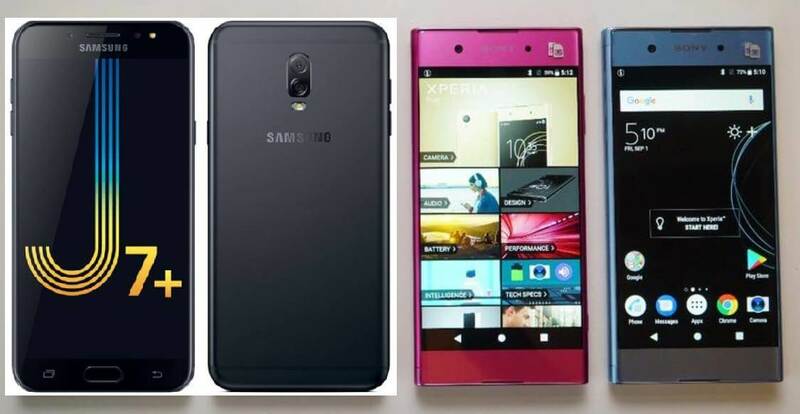 The Samsung Galaxy J7 Plus will be going up against the Sony Xperia XA1 Plus. Samsung Galaxy J7+ Pros - Better display, better dimensions and weight, dual rear cameras, higher front camera resolution with flash. Sony Xperia XA1 Plus Pros - Corning Gorilla Glass 5 protection, dedicated SD card slot, USB Type-C port, bigger battery with fast charging, NFC, higher main camera resolution, more affordable. In paper both smartphones come out as even as they have similar specs. However, in my opinion, the Xperia XA1 Plus has more substantial advantages over the J7+, especially if the 3000 pesos price difference is placed in the equation. Of course, there are other things to consider, but those aspects are mostly subjective in nature. How about you guys? Which one is your pick?